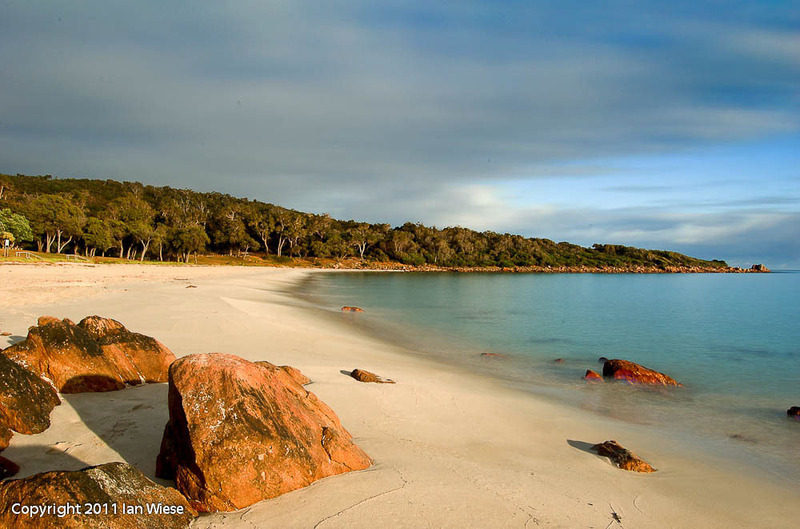 This is one of the prettiest beaches in this region, and it is a favourite of many people. You used to be able to camp here, but that was many years ago. The sealed road used to stop here and there were bush tracks which went just past Pt Picquet. Often in winter these tracks were too boggy to get through and you had to take to the bush to get through! To get to Eagle Bay you had to go back to the main road. This entry was posted on May 21, 2011 by ianwiese. It was filed under Landscape and was tagged with Meelup, sand, smooth water.